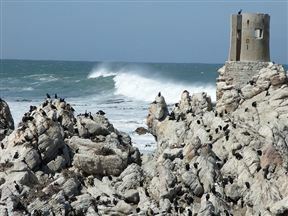 The Stony Point Penguin Colony at Betty's Bay is one of only three mainland-based colonies in South Africa and for this reason it is treasured. The African penguin usually colonizes and nests on offshore islands. Ok for a visit, nothing special unless you like penguins. Wonderful penquin colony. I understand only one of three colonies in the whole world that is not on an island. Stony Point Penguin Colony is 3.7km from the centre of Bettys Bay , the nearest airport 55.9km (Cape Town International Airport).